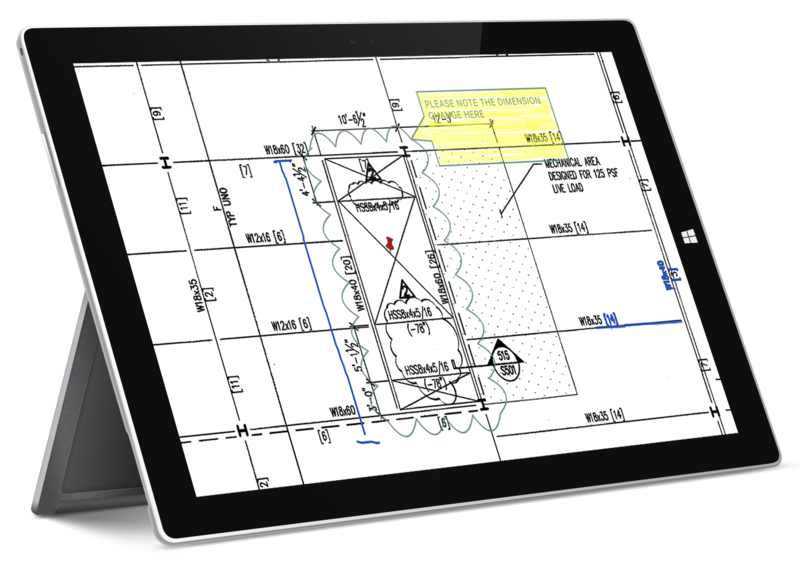 Instantly access the most up-to-date drawings and information for your construction project. Using Fasttac make communication with field staff easier, saves labor, time, and increases the overall efficiency of the project. Why Do Construction Companies Use Fasttac? When your bids are within .5% of other bids, every penny counts when you’re trying to give your customer the best price. Fasttac saves 7% of overall project costs, helping you increase your margins and still giving you enough room to offer the most competitive price possible! Construction projects have changes that need to be handled by many different parties: contractors, sub-contractors, etc. These changes slow you down and increase the potential for mistakes to be made. We speed up the velocity of information to make sure everyone has the information they need as soon as it’s available. Projects are busy and there is no time to waste looking for information you need for the job. Fasttac reduces the amount of time it takes to find information by over 25%, saving you time and money. When engineers make a change, or add information to a project, it only needs to be done once. The change will be instantly available to everyone using that drawing. Ensure that your team is always working from the current drawing set, speeding up communication, eliminating re-work. Collaboration isn’t just for pre-construction, its for the field. Pre-construction planning can save a lot of time and money, but only if you actually execute in the field. Fasttac is the tool that allows you to extend you planning into the field. You don’t work at a desk all day and neither does fasttac. Fasttac is available to use on any Windows computer or iPad, allowing you to work in your office and in the field. Adding markups to a drawing? Making a private note for future use? No problem. Everything you do is synced between all of your devices so that you always have what you need at your fingertips. Where Can We Help You Become More Efficient? We have many features that are designed to make your construction processes faster and more efficient. The accuracy and efficiency of your team is critical to the success of your project. 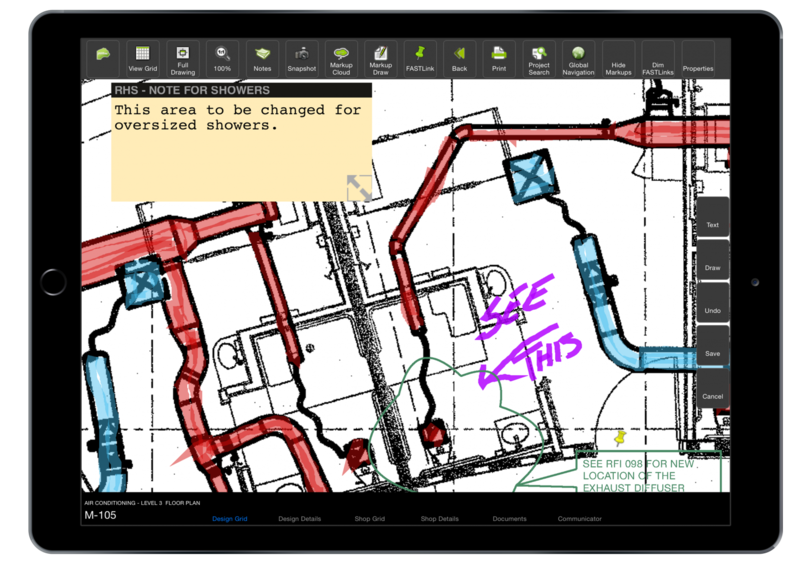 Fasttac keeps all of your project managers and field staff on the same page, allowing them to communicate in real time and ensuring that everyone is working from the latest drawing sets. Our software provides an audit trail for all content and user changes to ensure a job well done and mitigate finger pointing if a mistake is made. During the construction process you need to know exactly what set of documents the contractor is building to. 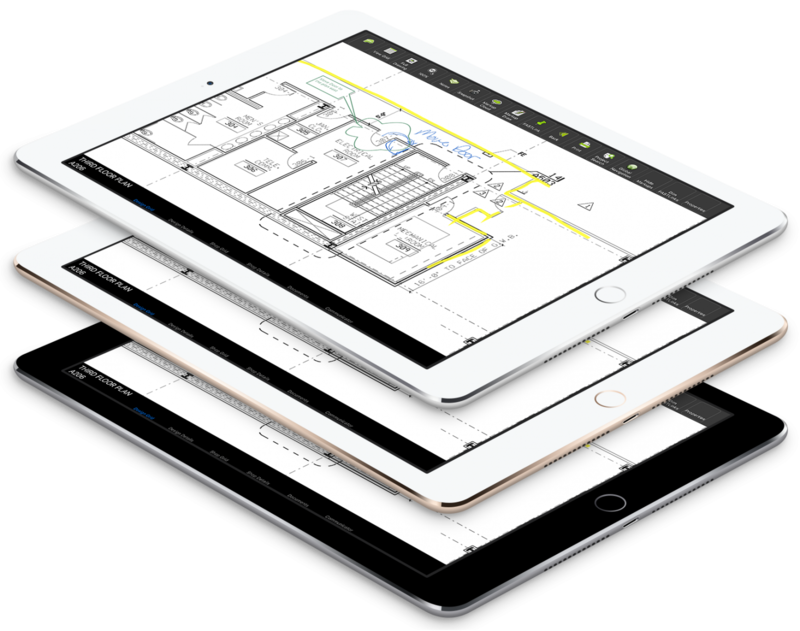 Our software let’s you know what everyone else is looking at and allows you to instantly update drawings for everyone to work from. Working with other project managers and teams isn’t always easy, especially when communication is limited and slow. Fasttac allows you to Communicate and collaborate on the same set of documents, regardless of company affiliation. Ensure efficiency and a job well done by always working with the most up to date information. No more messing around with version numbers and waiting for changes to come through. Fasttac provides clarity and direction on what you need to build and how it has been modified through the project (ie. an absolute project history). Construction projects are complex, with many users, many drawings, and many things to worry about. If your solution has multiple databases it will only add to this complexity and cause limitations. Fasttac is designed for your project to use a single database, ensuring that you can assign the appropriate permissions to your users, organize all of your information, and that you have an audit trail every step of the way! For many reasons construction companies must keep records and information for years. Whether it’s an insurance claim, or a repair, your historical data needs to be accessible on demand, and the last thing you want to do is to pay an engineer for months to dig through old boxes. Fasttac keeps your information available and organized so that you can instantly access it at any time.